If you?re like most Americans, you?re probably looking for a tax break anywhere you can. 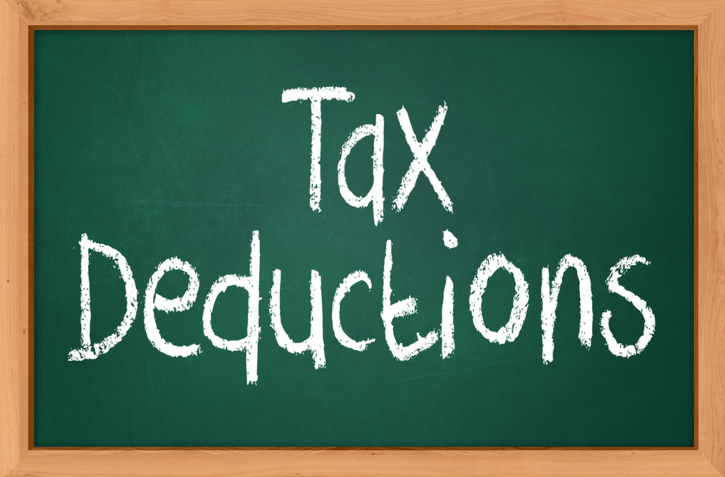 However, one of the most overlooked tax deduction areas is sitting right in your own garage. Car-related tax deductions are plentiful, but we?ve narrowed it down to the top five. Of course, tax code changes every year, so check with a tax professional before you file your taxes. All-electric and plug-in hybrid cars purchases since 2010 are likely eligible for a tax credit of up to $7,500. The tax credit works differently than a deduction and is based on the size and capacity of your car?s battery, as well as the state in which it was purchased. If you drove your car to volunteer work, your parking and toll expenses can be deducted as charitable donations. You can also deduct 14 cents per mile. Americans on the job hunt can get a nice tax break for their travels. Transportation expenses from looking for a job, including parking and tolls for travelling to interviews, meetings, and more can be deducted, as well as miles driven for 57.5 cents per mile. Cars used for business purposes, including traveling to meetings, to get supplies, or on sales calls can deduct their mileage at 57.5 cents per mile. Even if you use your personal car for some business travel, you can deduct that percentage of your miles. For example, if you use your car for business-only travel 50% of the time, you can deduct the cost of 50% of your business miles. However, you can?t deduct miles or expenses that are reimbursed by your company. If you have medical expenses that add up to more than 10% of your adjusted gross income, you can deduct travel expenses that are health-related, including driving to see a doctor and receive other treatments. This deduction varies from year to year and also depends on the age of the taxpayer.